UPDATE November 16th: Exclusive screenshots provided by FunnerFlight. 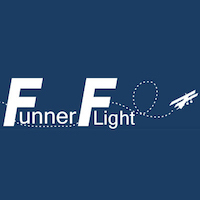 On behalf of FunnerFlight, X-Plained.com is pleased to inform you that FunnerFlight airport designer Jeff Mueller has released Los Angeles International Airport (KLAX). This extremely detailed airport with ortho ground textures included comes with a lot of features and besides that, an additional static and dynamic aircraft pack can be added to it. We’re quite sure you’re curious how it looks like and what to expect and if your computer can handle this complex modelled airport. Ok, here’s the feature and requirement list. – Day and Night textures. – FAA LAX PDF included. – 2Gb Video Card Minimum. 3GB+ Video Card recommended. Please read the Quick-START INSTALL.pdf for ease of installation. Airport designer Jeff Mueller worked for more then 15 months of unbelievable hardship making this scenery, but it’s worth it. Several changes to the airport can be made with the help of included documentation. Oh yes, you want to see what it looks like? Then you should check out this YouTube movie. Once you’ve seen the modelled airport during day and night, I’m quite sure you’re convinced that this will be your new home airport or your favourite destination. 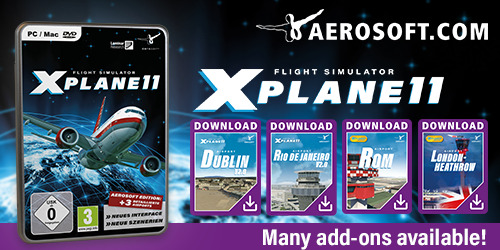 Then you should visit the dedicated X-Plane.Org page.